I love seeing how people sew up the Rose T-Shirt without the woven fabric detail as much as I love seeing the combinations with it. Today Erin left the detail out, and the dress has a whole new sophisticated look. Heyo! Erin from Sewbon here today to share with you my take on the Rose T-Shirt Dress! Click here to read more. Erin, I love, love, love this dress! It looks smashing on you and how creative to leave out the woven portion of the yoke. 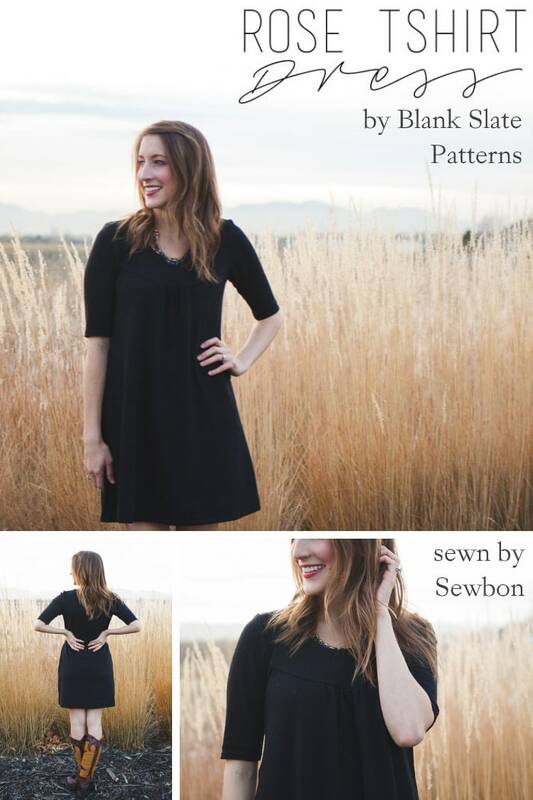 I’ve had this pattern for some time – you’ve really inspired me to sew it up! Thanks and Happy Holidays! I didn’t know the pattern came with a dress, I must have an older version.